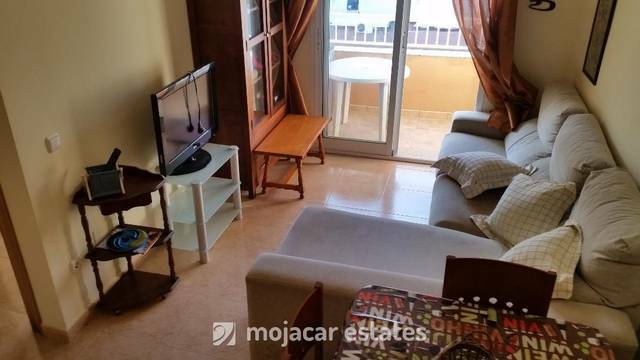 Bright spacious top floor apartment for sale in Turre, in building with only 3 other apartments. Property comprises entrance hall, fully fitted separate kitchen with separate laundry room, lounge-diner with balcony, 3 bedrooms – master with en suite shower room, family bathroom and communal roof terrace. Balconies with good views in every room. Air conditioning. Sold furnished. Property for sale in Almeria has grown in popularity over the years with the weather in our area offering over 320 days sunshine a year, it is an ideal location for finding your dream holiday home in the sun. On the above Google map click on enlarge map and the exact location of the property in Turre is marked with the pin. Andalusia, a rocky, sun-baked region on Spain’s southern coast, embodies much of what the world thinks of as Spanish: flamenco, tapas, beautiful coastlines, natural parks. Yet it was under Moorish rule from the 8th-15th centuries, a legacy that shows in its architecture, including such landmarks as the Alcázar castle in Seville, the capital city, as well as Córdoba’s Mezquita Mosque-Cathedral and Granada’s Alhambra palace. The natural park Cabo de Gata, not far from this area, is a wild and isolated landscape with some of Europe's most original geological features.